A note to readers: Photos have been blurred, and names changed to protect this child's identity. We adopted both of our children from China . Our first daughter joined our family as a baby, with no known special needs. It was pretty much the fairytale adoption experience. Liza was strong and healthy. She was developmentally ahead of the curve and had clearly been cherished by her foster family. She grieved through the transition, but grew more centered day by day. At nearly 5, she asks increasingly specific and thoughtful questions about her first family and all that she experienced before she came to us. She is confident, securely attached, loving and thriving. When she was 3 we started again. We had found the file of a little guy just a few weeks younger than Liza. His listing named "ambiguous genitalia" as his special need. Looking the unknowable in the face, we dove devotedly into our homework. Information gathering, opinion weighing, other-parent-seeking, adoption-style homework. Ling Jun's file didn't include a diagnosis, just a vague description, a single genital photo, and the result of a DNA test. We knew that his body didn't look like a typical boy or girl body, and that he had normal XY (male) DNA. We consulted with a handful of specialists. Some didn't offer much insight at all, some described potential surgery and hormone therapy in great detail, and a couple told us this: sometimes conditions that cause such ambiguity in the body also affect the identity. Basically, whatever caused our son's body to develop differently from other boys' bodies might also have caused his brain to develop differently from other boys' brains. He might feel in his heart, soul and brain like he's a she. 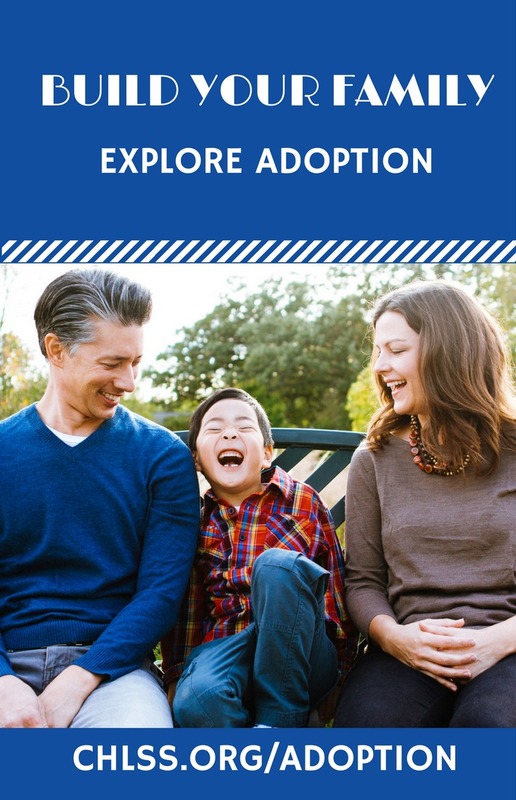 We went through with the adoption and brought our son home, only to discover that the distant, unlikely possibility was in fact, our story. What follows is the letter we wrote to properly introduce our new daughter to hundreds of friends and family members set to welcome our son. Among the things that keep us up at night, the protection of our children's story is near the top of the list. But we're sharing here for this reason: When we found ourselves with a 4-year-old making a gender transition, we went online to look for support. We found none in the adoptive community. That's not to say that there aren't wonderfully supportive people out there. Of course there are. But where we found mention of the special need, we found very little that was meaningful to us. More and more we see children with "ambiguous genitalia" showing up on special needs lists. And more and more we feel compelled to help families prepare. Our experience may not be the most common, but it would surely be the most challenging for some. And I'm here to share both that it happens and that it's ok.
Every child deserves to be unconditionally welcomed. Potential parents must understand and embrace all that that might mean. With this letter, we want to introduce you to our new child, and to share this chapter in the story of our family. We ask for your open heart, and offer you our honesty, humility and commitment to walking the path laid out before us. You may have held vigil with us through the long wait for Liza and celebrated with us when we finally held her in our arms 4 years ago. Perhaps you learned 3 years later that we were working on another adoption, in process to bring home Ling Jun. We saw his face, read a few sentences about him and felt irrefutably called to claim this child. 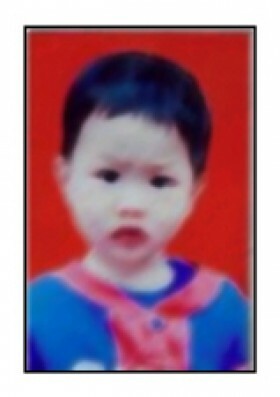 Just 1 month younger than Liza, living in a village on the Chinese side of the Vietnam border, he was 3 then. We imagined he'd be 4 by the time we met. We spent the months waiting for Ling Jun doing lots of things that most expecting parents do. We bought small clothes, we moved house, we worried, we prayed, and we prepared Liza to share her position at the center of the universe. We did things that most expecting parents don't do. We got fingerprinted twice, we completed stacks of paperwork for local, state, and 2 national governments, and we read up on the medical condition that defined this as a "special needs" adoption. Ling Jun has an intersex condition called partial androgen insensitivity syndrome. We didn't have a lot of specific information to work with about how this manifested for him. But our research revealed a broad range of possible physical and psychological outcomes. We heard from several specialists that children born with Ling Jun's condition sometimes identify as girls even when raised as boys, and vice versa. We couldn't know what lay ahead for Ling Jun, but we knew that the critical question for us was about acceptance. With the loving support of our families, we adopted Ling Jun last spring. We gave him the new name David. Our first weeks together were packed with learning at light speed. Even in the midst of terrible grief at the loss of his foster family, and immersed in a language that couldn't have sounded more foreign to him, David revealed more of himself with every passing day. Very quickly we understood that David was not the son we expected, but another daughter. In every way she could, this child declared herself. She challenged us point blank to enact the total acceptance we'd considered deeply, hypothetically, nearly a year prior. Some of the first ground she held in asserting who she is, was the rejection of her names. Within a few weeks of arriving home, Ling Jun/David fiercely, furiously rejected both names. She would pound her chest and shout "wo shi mei mei (pron. MAY may)!" In English, "I'm little sister. Call me little sister." And so for more than a month, she was only "Mei Mei." All the while we called her Mei Mei and still used male pronouns, she was wearing dresses, playing mostly with dolls, and asking daily when her hair would be long. As our communication with each other became more nuanced, we understood more of what Mei Mei wanted to share. In a conversation just a few months after arriving home, we were convinced that she knows exactly who she is and what she was asking of us. Without reservation, we trust Mei Mei and we trust our creator. We trust that Mei Mei is who she reveals to us day by day, and we trust that god made her exactly as she is meant to be. Not wanting the whole world to call her "little sister" forever, we were eager to find a name that fit. We started tossing out girl names with the sound "may" in them every time we thought of one. She rejected all of them out of hand for weeks until we hit "Macy." By bedtime that day, she was again pounding her chest and insisting, only smiling now. "I'm Macy!" she shouted, running through the house. She is Macy. And she is our daughter. We are blessed beyond measure with a circle of supportive family and friends. We are overcome with gratitude that Macy is clear about who she is at this tender age. She began preschool in September, introducing herself as Macy to kids she'll graduate from high school with. What does our family need? We need what every family needs. We need acceptance. We need an appreciation that most of our daily struggles are universal and some are unique. We need for everyone who is trusted with this information to hold it in loving confidence for Macy. She will walk this path in some ways alone. But we need a legion of loved ones to be at arm's length, each offering their own light. For anyone who hasn't followed the story of Ling Jun's adoption, none of what we've explained here may ever need to be shared. But we know that many followed along and must now make this transition with us. If you wonder how to talk to your kids, we've said something like this: when a baby is born, people see the body and know that that child is a boy or a girl. But every once in a while someone is born whose body just doesn't match who they are inside. It's what's in a person's heart and spirit is that makes them who they are. So for those few people, we sometimes don't know that they're really a boy or a girl until they get big enough to tell us. Thank you for receiving this news. Holds us in your heart as we hold you in ours.